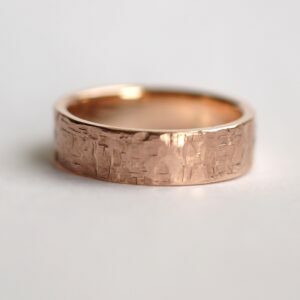 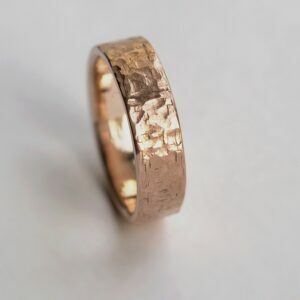 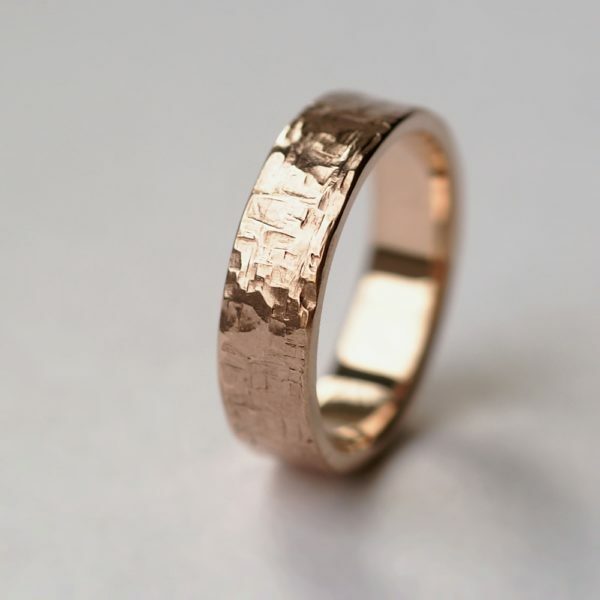 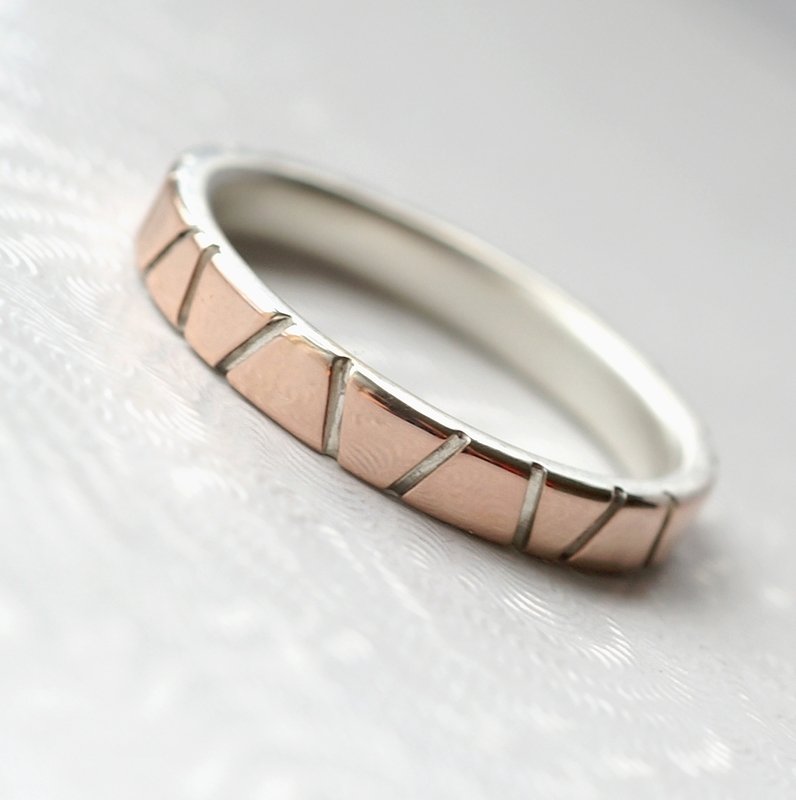 Simple hammered wedding band made of 9k rose gold. 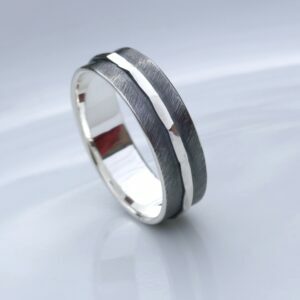 Perfect as men's wedding ring or as a chunky ring for women. 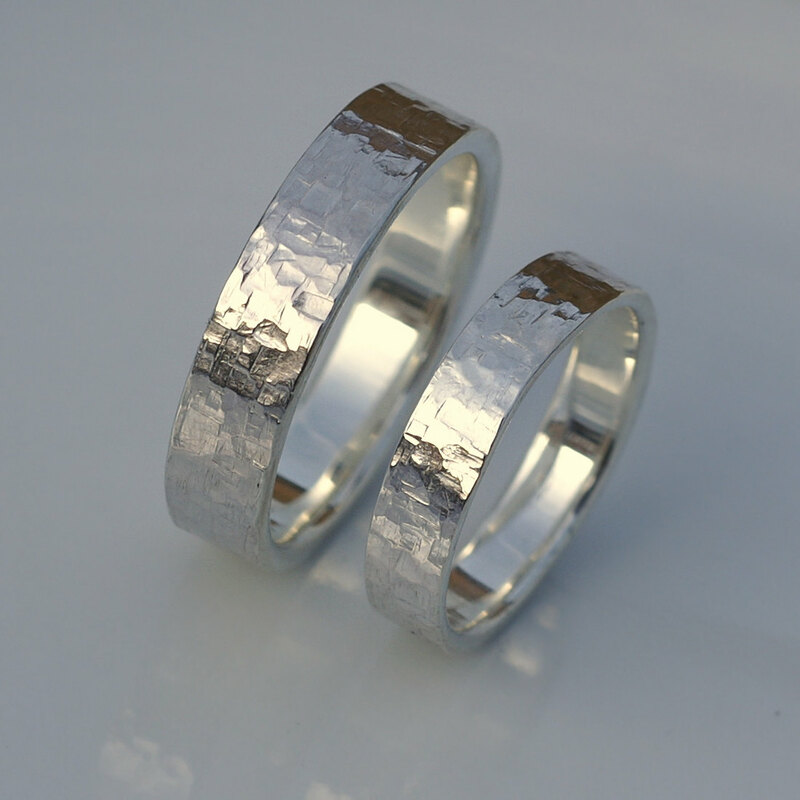 Perfect as men’s wedding ring or as a chunky ring for women. 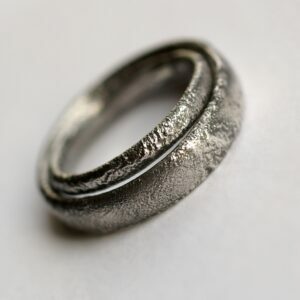 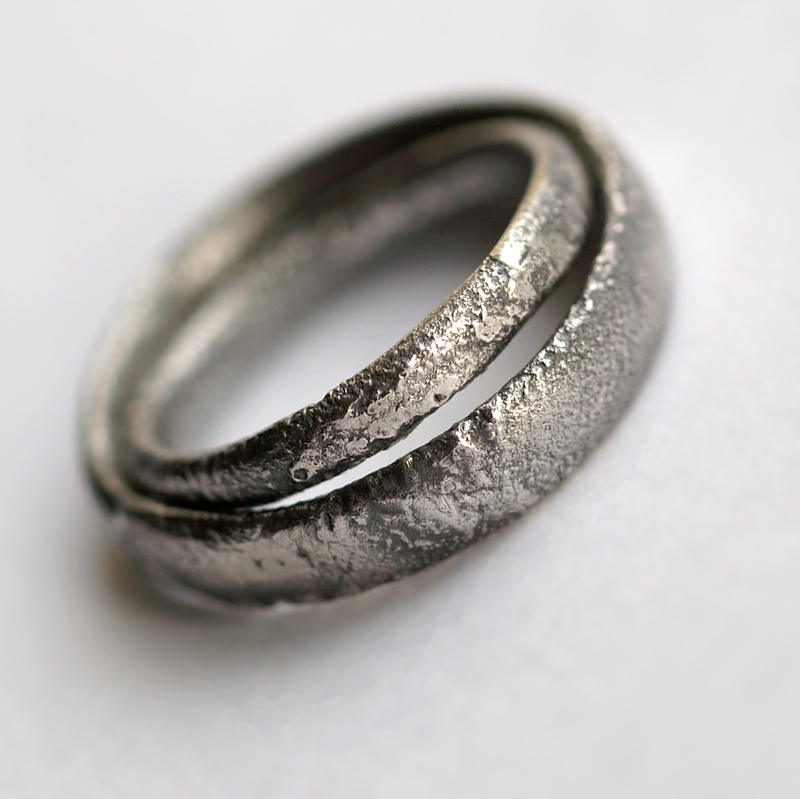 The texture is made with my customized hammer so it is absolutely unique and it is not possible to make the same ring without that hammer. 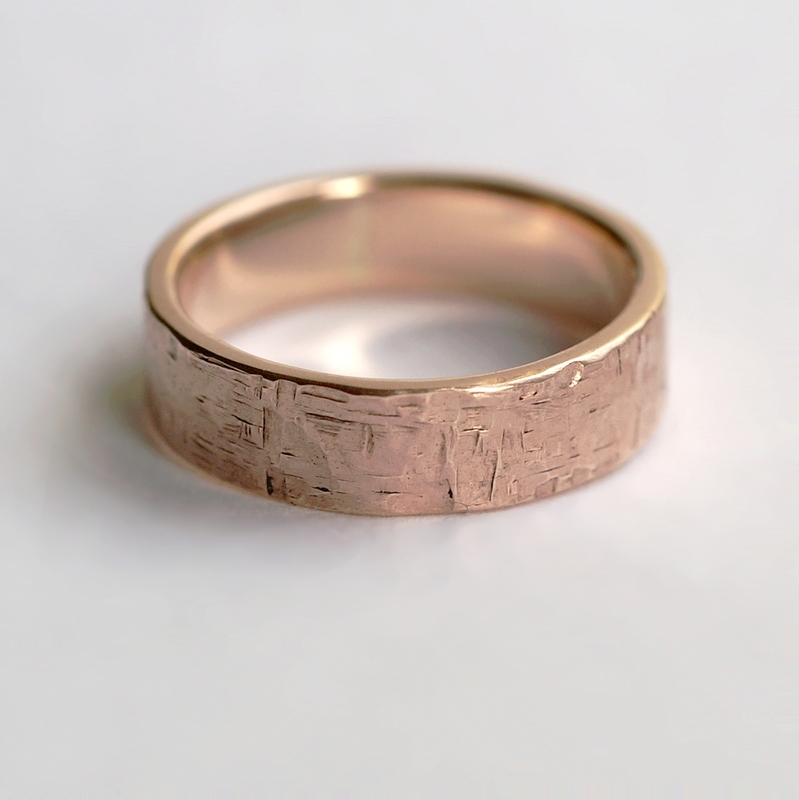 For all tired with thin gold rings and looking for something substantial, this ring is made with 1.5mm thick sheet. 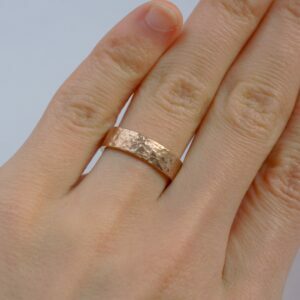 It is more than average for a gold ring, but not too heavy. 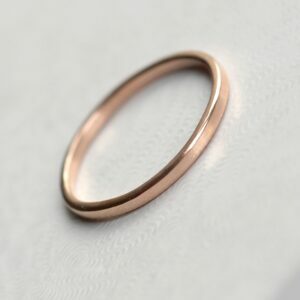 British 9k rose gold alloy is similar in color to 14k rose gold and similarly durable and scratch resistant, while being less heavy and more affordable. 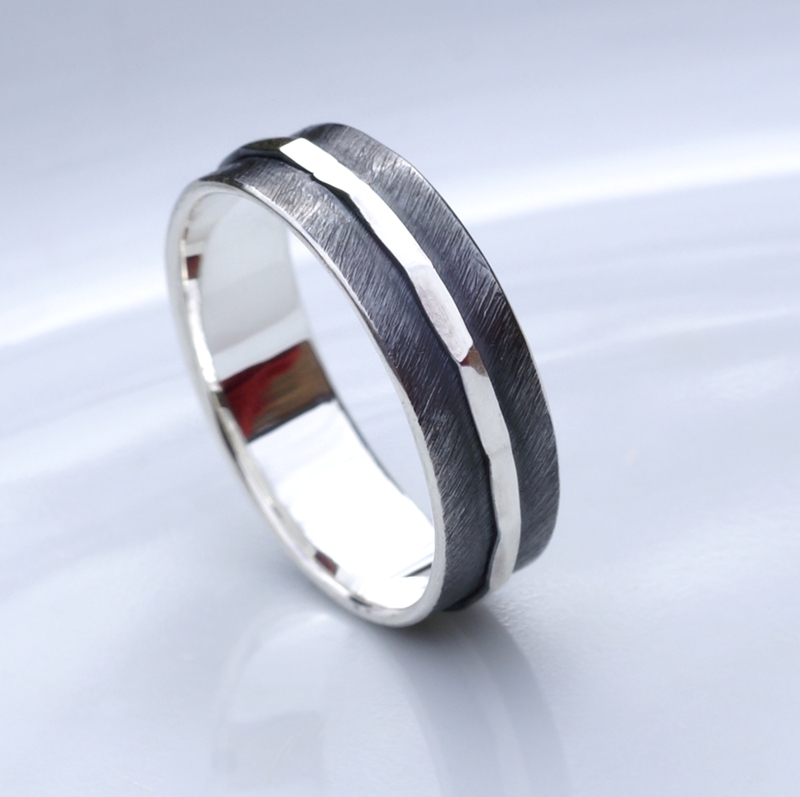 The ring is shiny polished. 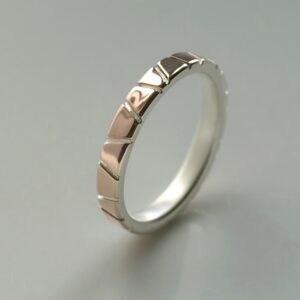 I can make similar ring in white gold or in different karat gold. 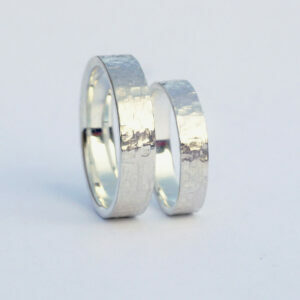 Different width or thickness is also possible. 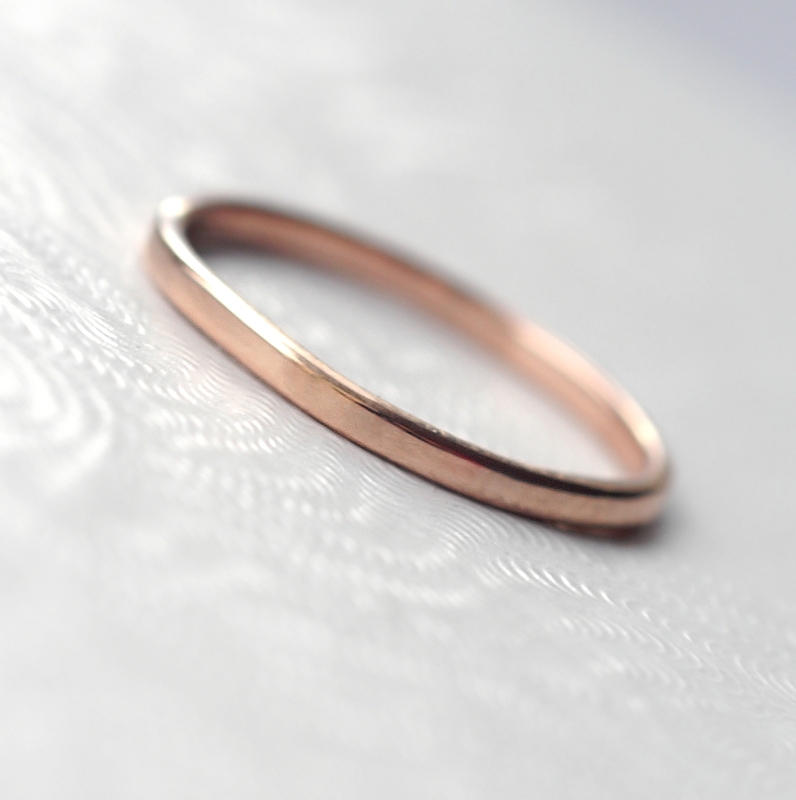 Please note that the ring is pictured in size 6 (women’s size).